Welcome to MayflowerHistory.com, the Internet's most complete and accurate website dealing with the Mayflower passengers and the history of the Pilgrims and early Plymouth Colony. This website was first created back in 1994 (when the web was still mostly text!) as a simple, but complete, passenger list of the Mayflower. It has grown over the past twenty-five years as the author, historian Caleb Johnson, has researched and compiled material. Caleb Johnson, the author and historian behind MayflowerHistory.com, graduated from Texas Tech University with two majors (history and English) and two minors (computer science and archaeology). He subsequently earned an MBA with an emphasis in IT Management. 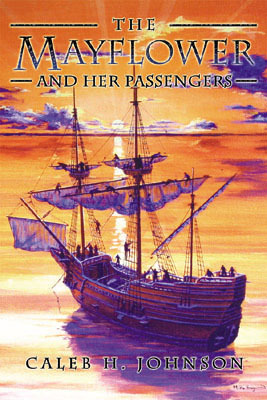 He has been researching and studying the Mayflower passengers for twenty-five years, and has authored and edited a number of books including the 1173-page reference tome, The Complete Works of the Mayflower Pilgrims (Vancouver, 2003); The Mayflower and Her Passengers (Xlibris, 2005); William Bradford's Of Plymouth Plantation (Xlibris, 2006), and his best-selling work--a biography of Mayflower passenger Stephen Hopkins entitled Here Shall I Die Ashore. Caleb has been interviewed and quoted by numerous publications, usually for Thanksgiving-related pieces, including the New York Times, Wall Street Journal, Gannett News Service, and National Public Radio. His research has been used and cited by New York Times best-selling authors including Nathaniel Philbrick (Mayflower) and Nick Bunker (Making Haste from Babylon), and he assisted with the Sally Fields episode of PBS's "Finding Your Roots." Caleb edited the scholarly historical and genealogical journal, the Mayflower Descendant (first edited by George Ernest Bowman in 1899) from 2011-2014, and remains a contributing editor today. 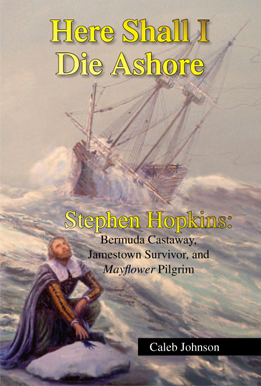 Caleb has been on the forefront of Mayflower genealogical research as it pertains to the English origins of the Mayflower passengers, discovering the English origins of Stephen Hopkins at Hursley, Hampshire (1998) and Peter Browne at Dorking, Surrey, England (2004). In 2017-2018, he collaborated with Sue Allan and Simon Neal to piece together the English origins of two more Mayflower passengers William and Susanna (Jackson) White, and the trio of researchers continues their research in English records. 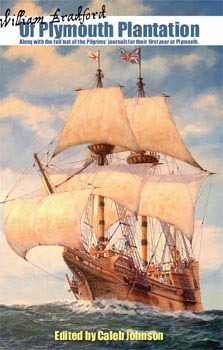 Unless otherwise stated, all material appearing on MayflowerHistory.com is copyrighted. It may be used for personal study; for non-commercial academic and educational use; and you may link to any page within the site that you wish. However, commercial use or wide-scale copying of my material to another Internet site or publication is prohibited without express written permission. Note that individual facts are not copyrightable. If you wish to take facts from this website and present them elsewhere in your own commentary and presentation, that is entirely permissible, but don't forget to cite your sources!